Considered one of the most significant turnarounds ever accomplished in relation to a natural resource emergency, Israel has overcome a threatening fresh water scarcity within a decade. Currently, the country has such a large water surplus it exports large quantities to its parched neighboring countries. The turnaround was achieved with the construction of the largest desalination plants in the world. The desalination plants convert the Mediterranean seawater into potable water for both domestic purposes as well as agriculture. Although this excess water is an important example for countries around the world that are dealing with water shortages, it also has an environmental impact: Desalination plants consume a lot of energy, the production of which would require fossil fuels to be burnt in large power plants. To solve that issue and prepare a roadmap for future research and demonstrations, some of the world’s leading experts in the technology, regulatory issues involving desalination, and economics recently gathered at MIT. They talked about a way to remove the salt from seawater or brackish aquifers at all scales, from small, local installations to the large megaprojects as seen in Israel, while reducing or eliminating the related greenhouse gas emissions. The two-day workshop, organized by MIT’s Abdul Latif Jameel World Water and Food Security Lab (J-WAFS) and its director, John H. Lienhard V, had experts from 11 countries to talk about the problems and frame a report to be presented next month at the 22nd session of the Conference of the Parties to the United Nations Framework Convention on Climate Change, or, COP22, in Marrakesh, Morocco. The plan is to map out the areas where research and development, and demonstration projects are most required and could produce the maximum benefits. “What you are doing is so crucially important [While the world population is] going up, up, up, the amount of fresh water is basically a fixed asset. [And yet, there is] an incredible resource in the ocean, all the water you could want, yet it’s not suitable for human needs. [That is why it is so vital to find a way to provide] access to clean water that doesn’t impact the environment in a negative way with its carbon footprint. We need breakthroughs on this and thanks to the efforts of all of you, I think we’re going to have it. Several potential solutions to that issue - including the challenges that require additional research - were spoken at length by the experts. Incorporating desalination facilities with low-carbon or carbon-free power sources such as wind, solar, or nuclear power plants could make it possible to achieve the advantages of clean water without harming the environment. However, some of these renewable energy sources do not supply power constantly, and certain types of desalination technology undergo difficulties when their operation is not continuous. For instance, changes in the functioning of the plants can cause increased fouling of the membranes that divide the salt from the water. Solar and wind installations generate variable power, so to steer clear of the ramping up and down of the desalination plants, these power sources may require to be coupled with storage systems, increasing the cost. Nuclear plants are mostly larger than needed for desalination, so such facilities may have to be combined with power production for other purposes. Boris Liberman, vice president and chief technology officer of IDE Technologies, the Israel-based company credited for the design and construction of the enormous new seawater desalination plants, including the largest one in the world, said that those plants have currently shown that with suitable design and operation it is possible to function efficiently even with power sources that vary a lot. The key, he said, is to sustain constant pressure within the system while letting the flow rate and freshwater output to increase and decrease. 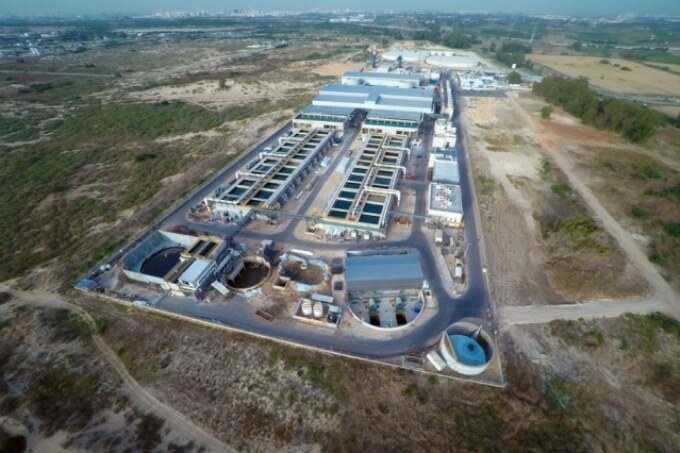 Sorek, the company’s largest plant produces 150 million cubic meters of water annually, and “has worked for two years with no fouling," he said. Jacopo Buongiorno, MIT’s TEPCO Professor of Nuclear Science and Engineering, outlined a concept to build floating offshore desalination plants, which could be integrated with floating offshore nuclear plants that he and his students have been developing. The paired facilities could exploit the innate advantages of building several identical units that could be assembled in shipyards and towed to their final point of use. This plan allows controlled construction in facilities that could develop know-how in constructing those plants instead of depending on local construction materials and crews at each end-use location. He said, building desalination plants on a floating platform would also remove a number of the problems linked with the long and intricate intake tubes that transport seawater to the plant and release brine back into the sea. These intake and outflow systems, in several locations, can cost the same amount as the desalination plants themselves. “Offshore nuclear with water desalination offers a new and flexible deployment and operation paradigm for zero-carbon cogeneration of power and fresh water,” Buongiorno said. Several of the workshop participants said that there are several other potential pairings of power sources with desalination facilities. For instance, geothermal energy could potentially offer both heat and electricity, which are the two large requirements for desalination, and could be ideal for various kinds of locations, as geothermal heat can be procured anywhere if drills are deep enough. Other options include the utilization of tidal or power, or of modern solar technologies such as thermal plants that accumulate the sun’s heat in vats of molten salt. These plants can then be used to supply that heat when it is needed, even during the night, thereby providing an answer to obtain constant output from solar power. Lienhard and others indicated that desalination could be utilized as a kind of storage technology in itself. This would be applicable in situations where there is a disparity between the periods when renewable power sources are available and when the power is really needed, the surplus power could be used to manufacture and store fresh water, which could then be supplied whenever needed without the need to draw power for desalination during times of peak loads on the grid. “Water is cheap to store,” he says, in comparison to electricity, which involves pumped-hydro storage systems or pricey battery. Based on the input from all of the experts present at workshop, a final report will be produced shortly which will aim to cover “what are the priorities for research funding, what are the barriers, and how to prioritize the work,” Lienhard said.